Prenatal Care Is Essential For A Healthy Pregnancy - Haba Naija! Pregnancy is one of the most miraculous things that can occur in a woman’s life. It can also be a time that creates great anxiety and fear in a woman. All of these emotions are due to the fact that there are so many things that are going on within your body that you not aware of. A new human life is growing inside of you, and you must make sure that your health and the health of your growing baby is maintained. You have to make sure that you receive prenatal care so your physician can quickly detect anything that may cause harm to you and/or your baby. 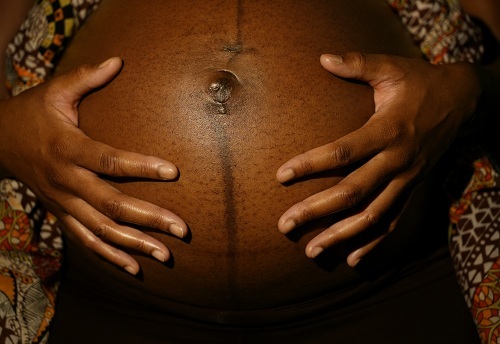 It is extremely important that Nigerian women and other women of color have prenatal care throughout their pregnancy. We have the highest percentages of pregnancies with babies that are born with low weights, babies that are premature, and other complications. Diseases that are prevalent in Nigerian women including hypertension and sickle-cell can be exacerbated during a pregnancy. This is why women of color should visit their obstetrician as often as they can. What is Considered a Normal Pregnancy? Most pregnancies average between 275 and 280 days. All of these days are usually divided into trimesters. This usually makes it easier for a parent and a doctor to track the growth and development of the baby. The first 15 weeks of a pregnancy are considered the first trimester, and the last 14 weeks of a pregnancy are considered the last trimester. When you meet with your physician for the first visit, they will want to complete and thorough exam on you and get some background information about your health and family history. They will also determine how far your pregnancy has progressed. Your doctor will also inform you of their plan of care for you during your pregnancy. What Symptoms Should I Tell My Doctor About? What Tests Will The Doctor Order While You Are Pregnant? It is always a good idea to make changes in your lifestyle that could prove to be harmful to your baby. You should stop smoking, drinking alcohol, and taking any drugs that is not prescribed to you by a doctor. A woman who is pregnant should also avoid douching or using any type of enema while they are pregnant. NextLike Haba Naija on Facebook Win Cash! Mother’s Day – Celebrating your Super Woman!